Looking for the best cast net for bait fish? if so this net by the Betts company is great. It comes with a utility box and in many sizes including 4 and 6 feet. There is not better bait then the actual fish/bait native to the body of water being fished. With this 4 foot or 6 foot cast net they will be able to easily catch bait! Live bait is almost always the best bait. With this casting net they will be able to catch their own bait that is native to the body of water they are fishing in. You can choose between a 4 foot or 6 foot net. 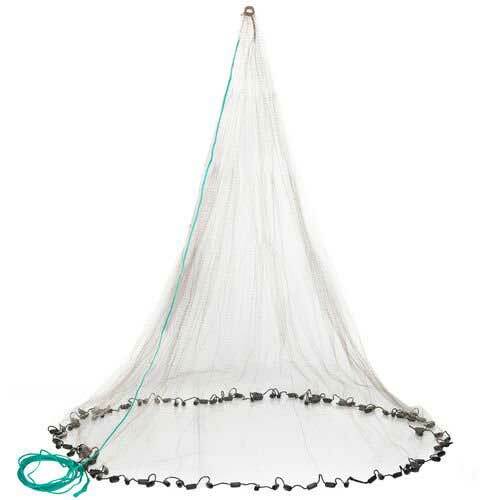 In some states nets must be 4 foot or under, so if you aren’t sure what size is legal in your state go for the 4 footer. Here is a video of a cast net in action. A cast net is a must have fishing accessory. Having live bait native to the body of water your fishing in greatly increases your chances of catching that fish of a lifetime.